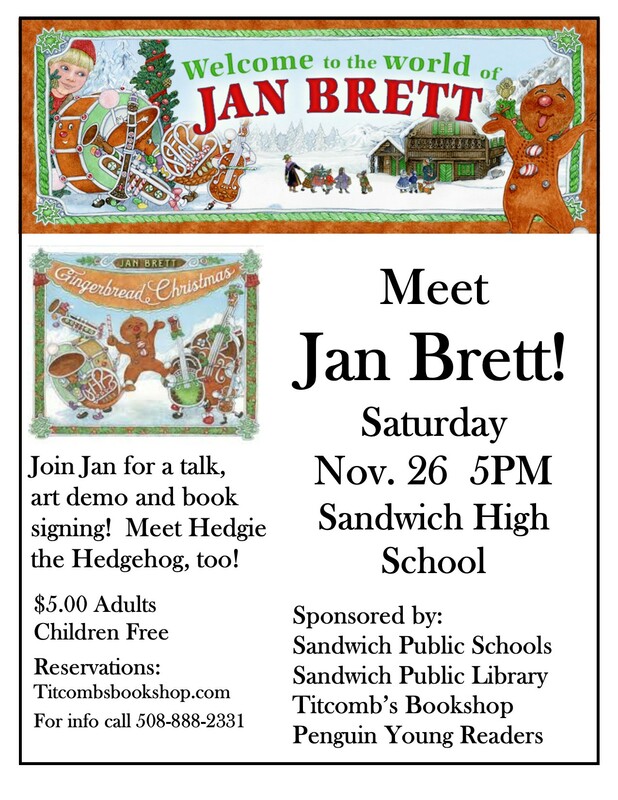 Jan Brett’s Visit to Sandwich – Tomorrow – Saturday Nov 26, 2016 @ 5pm! Since beginning of the school year, teachers and students in Sandwich have been learning about Jan Brett as an author and illustrator of a wide variety of books. They have engaged in Author Studies, exploring many different books and have also focused on specific titles. Many projects have resulted from their studies, which will be displayed at Sandwich High School for Jan Brett’s visit. You can also experience them via short videos, below. PreK and Kindergarten students read The Mitten… see some of their artwork here. First grade read The Turnip … and planted some turnip seeds in their garden at Forestdale! Second grade read Mossy, about a turtle… you can see some of their responses to Mossy here.